Shobey, under the brand name 'S. Shobey Silk-Store Yokohama', commercially exported until then unobtainable silk products to Europe, America, Australia, and Hong Kong. The industry received a big boost when a noblewoman, impressed by the beauty of one of Shobey's handkerchiefs, wrapped it around her neck, igniting a passion for Yokohama scarves that made them popular around the world. Shobey continued to win multiple awards by exhibiting new products at the Philadelphia Exposition in 1876, Paris (1878), Melbourne (1880), Paris again (1888), and Chicago (1893) to name a few. 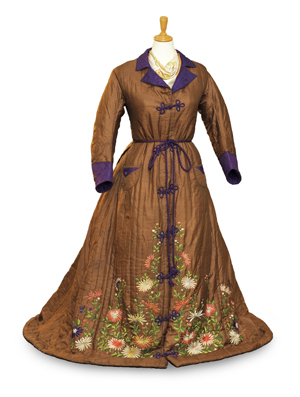 His dresses that were exhibited at the time became part of the tapestry of S. Shobey brand products that were acquired by museums all over the world. Silk products from Yokohama began to develop into a booming industry. In another world first, at the Melbourne Exposition in 1880, Shobey exhibited handkerchiefs with overglaze enamels as well as silk scarves that helped introduce the world of Yokohama. He grabbed the hearts of wealthy people in the West by devising a way to combine the highest quality printing and silk with delicate embroidery in all his products.